An Apple Cider Vinegar Diet sound super healthy, organic and natural, but is it really that good for you? In looking at the articles on the Internet, you can see that there are lots of fans, but no real scientific evidence that it really works. Using Apple Cider Vinegar as a cure for many aliments and for weight loss has been around for at least a couple hundred years. In the 1950’s a book by Dr. Jarvis, Folk Remedies, mentioned using Apple Cider Vinegar to lose weight and it caught on. It is certainly easy to do… take a tablespoon or two in a glass of water before eating, but if you take too much it can be harmful to your throat or stomach. It’s very acidic. You might want to even start with half of that… a tablespoon of Apple Cider Vinegar in a cup of water. There is also a weight loss tip that has been talked about quite a bit recently where you eat an apple before each meal. You don’t need to worry about the acid hurting your throat or stomach with this option. If losing weight is one of your goals, it certainly doesn’t hurt to give this one a try. 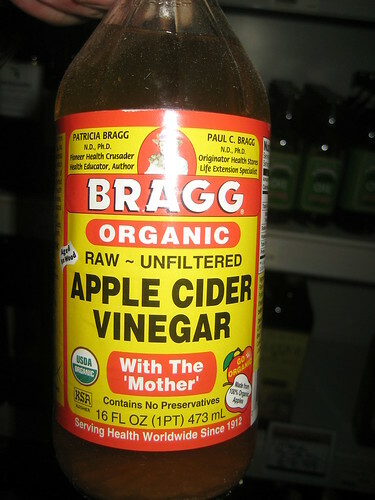 The Apple Cider Vinegar is pretty tart and some people add a bit on honey to make it more a bit more palatable. Apple Cider Vinegar has around 90 different substances with minerals like Magnesium, Potassium, Iron, Sulfur, Copper, Phosphorus and more. It has been used since 400 B.C. when Hippocrates, the Father of Medicine, used it for cleansing and healing properties. There seems to be quite a bit of evidence that it can be a helpful ingredient. The raw unfiltered is probably the best to use. It’s best to dilute the Apple Cider Vinegar before using it. If you are on any medications it can interfere. In particular it may be problematic with heart or diabetes medications. There are medical references on the Internet that say using Apple Cider Vinegar for a long time could also lower potassium levels and lower bone density. Although other sites claim that it helps your bone density. Some people may also have allergies to Apple Cider Vinegar. If losing weight is an issue for you and you are not on any medications, it certainly wouldn’t hurt to try using Apple Cider Vinegar for a month or two to see if is does help. As for the bone density, there is a lot of data that weight bearing exercises help with bone density. Weight bearing exercises also help with weight lose, so definitely get involved with an exercise program regardless if you decide to try the Apple Cider Vinegar Diet.